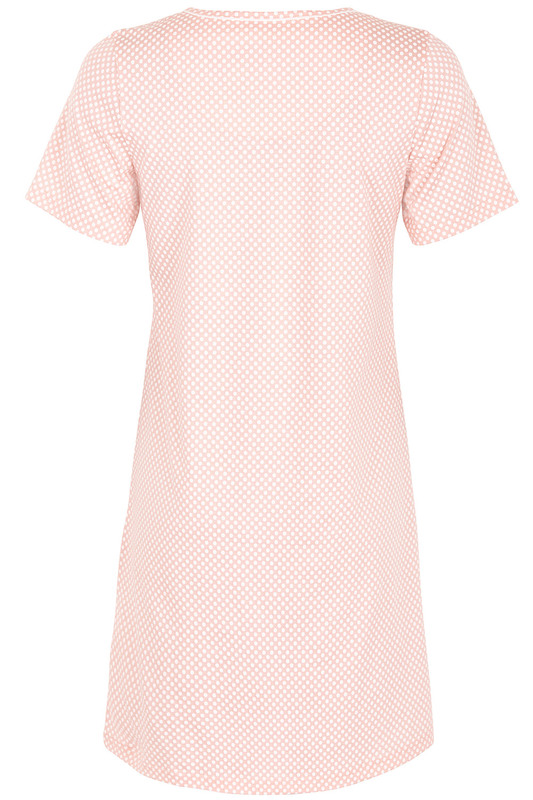 Brighten up your pyjama collection with this spot print nightdress. 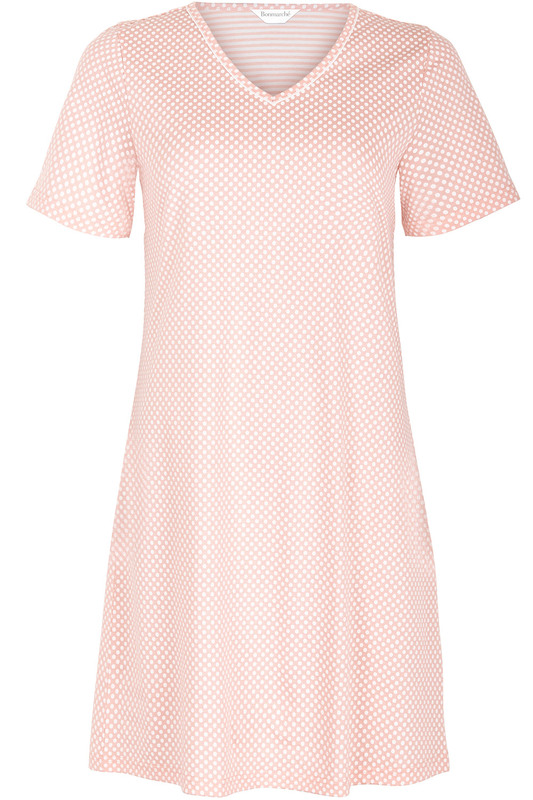 All-over white polka dots stand out against the pastel base for a look that is simple yet feminine. In an easy T-shirt shape with a V neck and short sleeves, it is comfortable and relaxed. The pure cotton fabric feels soft against your skin. Just add a dressing gown and slippers on cosy weekend mornings.